Every shooter on the market is looking for an excellent variable pump air rifle. 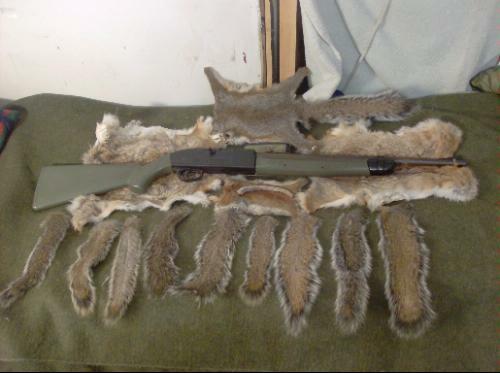 Many occasional hunters make a buy decision of a rifle without considering the prime specs of the air gun. In this case, they end up getting disappointmented in terms of performance to an otherwise nice gun. Although all the best air rifles appear similar in appearance, it’s worth noting that they have clear cut distinguishing features. As a beginner shooting this gun, it is worth to do a critical review of the essential characteristics of the rifle of your interest. Every pellet gun is designed to satisfy particular requirements of different people. For instance, .22 caliber pump rifles will suffice but a first hunting rifle will engage more than measurements and the right caliber. In overview, Crosman Classic 2100 Air Rifle is of American make, designed for hunting small game and target shooting and plinking at the shooting range. It’s highly adaptable unlike the other rifles in this category. This Crosman Classic pellet rifle review is a must read if you need a brief outline why this rifle is the best in this limited class. Great for pest control, small game hunting or just shoot pellets for fun. It’s dovetail making is useful in scoping the gun for clear targeting. Maybe even add fiber optic sights! If you love a high powered gun, this is your choice as it can generate sufficient power to bring down a target at a distance of 30 yards or at close range. It’s a full-size gun that pumps up to maximum pellet or bb velocity of 725 fps with multi pump. It’s extremely accurate pneumatic air power. It comes with a Manual with an in-depth coverage of the operation and the safety precautions. It is light weight at just 4.8 lbs, something that make it easy to carry around and operate. Classic blot action virtually has no recoil and, therefore, capable of continuous shooting over an extended period without reloading. It features a rifled barrel and a synthetic stock making it ideal for any weather. It comes with an impact fiber optic front sight and an adjustable rear sight. The Crosman Air has a warranty period covering one year. Still works fine in cold weather. Single shot but loading pellets is easy. This gun has a user-friendly interface making its operation easy. All you need to keep it going is to pull back the repeater magazine spring and lock it in its notch so that it remains in its place. Then you need to load the BB reservoir until it is fully loaded, and then you snap the magazine back into its place. Work the magnetic bolt action around the chamber to load more pellets into the barrel. The Repeater Magazine spring needs to be pulled back and locked in its notch to keep it in place. Then Load the steel BBs reservoir until loaded and then snap the magazine spring back into the normal position. The Crosman Classic air rifle is an awesome hunting rifle that gives you the best performance in your hunting experience. It’s hard hitting and has a lovely design that enhance its appearance. If you want a fun rifle for target shooting, you can afford not have this gun. Grab your classic gun today and you will attest the transformation. You might also consider reading our review on the Classic repeat semi-automatic 1077 pellet gun. This is definitely a great option. Easy to use and shoot, good price and lots of great features.